Chatbots are fast becoming part of the here and now for businesses, consumers and public-facing organisations. But the early generations of bot are already being replaced by smarter, more useful versions, so just where will we be with chatbots come 2020? 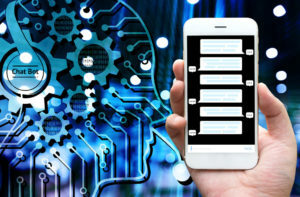 The move to smarter chatbots is already underway with natural language processing and AI technologies helping the system understand what we’re asking or talking about better. Bots can also do deeper research to find us answers, rather than just going with what’s in their script. Consider 2018 the year that chatbots get smarter, but there’s someway to go before businesses consider them ‘smart’: regardless of how impressed consumers are by them. And that’s the amazing thing, a growing percentage of consumers are already impressed by how a chatbot can help them. And as more businesses adopt them, people will become used to dealing with them on a regular basis, making them just another part of the consumer tech landscape along with apps, digital concierge services and so on. Businesses are already moving this way, as adoption and deployment becomes a norm. Successful companies have proved they work, have overcome those early obstacles and bugs, and started to see user interest. With Gartner estimating that 25% of customer service organisations will use virtual assistants by 2020, the chances are it will be a lot higher, especially as global businesses need them to meet consumer volume and demand. That’s fine for customer services, making appointments and other simple engagements and as we reach massive chatbot volumes, they can analyse that data to work better and smarter. Once that peak is scaled, chatbots will really take-off when they can do more for us and represent us better. Imagine when every phone can answer your SMS texts, urgent emails while you’re busy, driving or in a meeting, Our own personal chatbot will know our schedule, can make appointments on our behalf. They can even talk to other chatbots to arrange deals or buy things we need urgently. Using voice assistants, we can give them instructions and they can venture online to talk to other bots, who can have a drone deliver whatever you need from urgent medicine from the pharmacy to a takeaway pizza to feed the family while you work late, all without a human interaction. For businesses, bots will also play a key role internally. AI systems are already monitoring business intelligence data. Bots will soon be able to chip in when an alert is triggered, providing an AI-curated-and-arranged list of options on whatever device they are currently using, allowing busy executives to make decisions in the shortest possible time frame (or take part in a vote to see what action to take). Using presence and location-awareness, bots will take over the boring parts of personal assistant jobs and juggle meetings, based on priorities, provide timely reminders and even do the whole ‘buy flowers/wine for your better half’ thing, allowing your staff to focus on their key tasks. There’s already been plenty of debate and pushback over how real bots and virtual assistants can be. This will be a key debate as we hit 2020 and the bots get ever smarter. The recent Google Duplex phonebot storm is a good example. Businesses and bot vendors, however, are already learning what the limits are and bots will likely have to identify themselves as such. As they get smart, they will be able to moderate their tone to appeal to tech-aware users happy to shoot the breeze, while offering a short and snappy service to people who just want to get an engagement done and dusted. 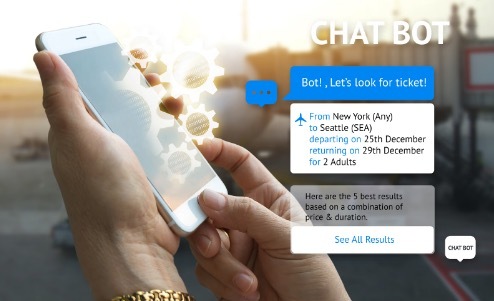 Being able to identify and fit in with what a user wants, and be as personal as required will strike the right balance, whether a chatbot represents a brand, your bank, is part of the company HR infrastructure or helping tourists at an airport. All of these roles and many more will be filled by chatbots to act as first line support. 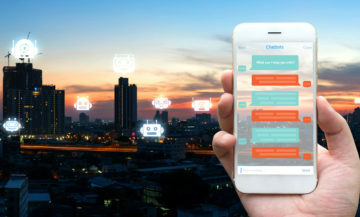 By 2020, the younger generations will probably stop realising that chatbots are actually there, making them an invisible part of our cloud-enabled world. 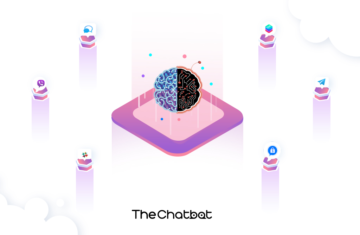 While there will still be plenty going on in the back-end, chatbot developers will need to be on the ball to make their products fit into this fast-changing landscape. Artificial Intelligence: What Is AI & Where Is It Going?